Brokers provide important discovery and synchronization mechanisms among autonomous agents. Their mediation and coordination properties make brokers natural candidate components for the semantic services environment where each service is described, discovered and accessed semantically. However, brokers with rich functionality of discovery and mediation are not part of the current semantic services environment. 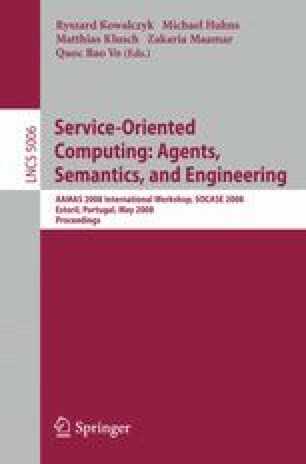 This paper discusses the design considerations of a broker agent in the semantic services environment. In this context, the required services of this broker agent are analyzed, a multi-agent system infrastructure including such a broker agent for the semantic services environment is proposed and an interaction protocol, based on FIPA specifications, for brokerage in this environment is given.